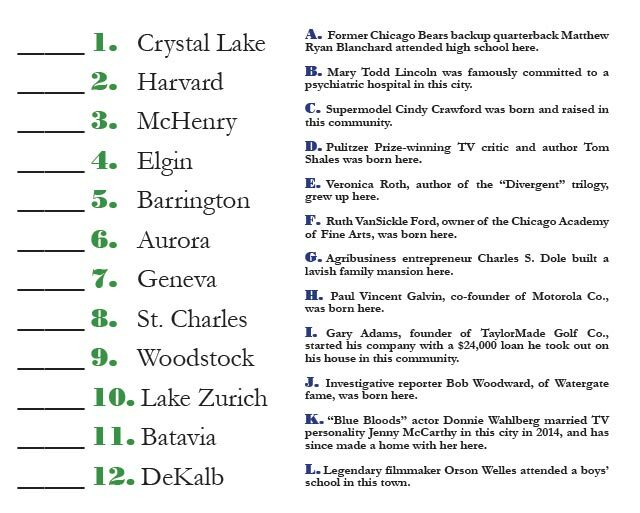 How well do you know the luminaries from your neighborhood? See if you can match the community associated with the notable personality described at right. No peeking! Answers Below. This entry was posted on Tuesday, January 9th, 2018 at 12:00 pm	and is filed under Northwest Quiz. You can follow any responses to this entry through the RSS 2.0 feed. Both comments and pings are currently closed.